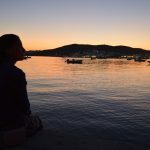 In the middle of the Egea sea, there is Milos, a pleasant discovery a little bit savage and romantic. It is a very small Greek island but with a lot of potentials and fortunately still quite wild and little exploited by tourists. Milos is the southwesternmost island in the Cyclades group, famous for the statue of Aphrodite (the “Venus de Milo”, now in the Louvre) and also for statues of the Greek god Asclepius (now in the British Museum). Breathtaking landscapes and wildest beaches that you will not see very easily anywhere else. 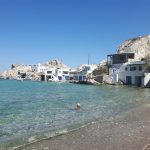 Getting to Milos from Athens is very easy and fast, it is possible to do it through local low-cost airlines, but watch out because it is not said that they operate every day, or through ferry. The cost is quite similar especially if you choose that takes no more than three hours and makes a few stops. I have chosen ferry (I hate planes) with the company Seajets, for a cost of € 57 and no more than 3 hours of travel. The flight that would last 40 minutes for a price of 80 € per person, including the cost of the metro/train from the center of Athens to the airport which is 10 € per person. Milos does not have many secrets when you arrive, the rental companies are all in front of the port and it is very easy to locate them. If you came from Mykonos or other Greek island, the price will be 90€ approx per person with Seajets, check prices/availability. As for the Seajets company, I would advise against it for a few reasons. Tickets must be collected before departure in a Seajets agency (Athens seaport), which complicates it a bit more for a timetable theme. if ferry delays more than 2hours you can ask the 50% refund of the ticket. (If you want to know more ask me). TIP TIME!! For all drivers, forget google maps and follow the street signs, the GPS signal easily becomes unreliable, or ask at the local people. 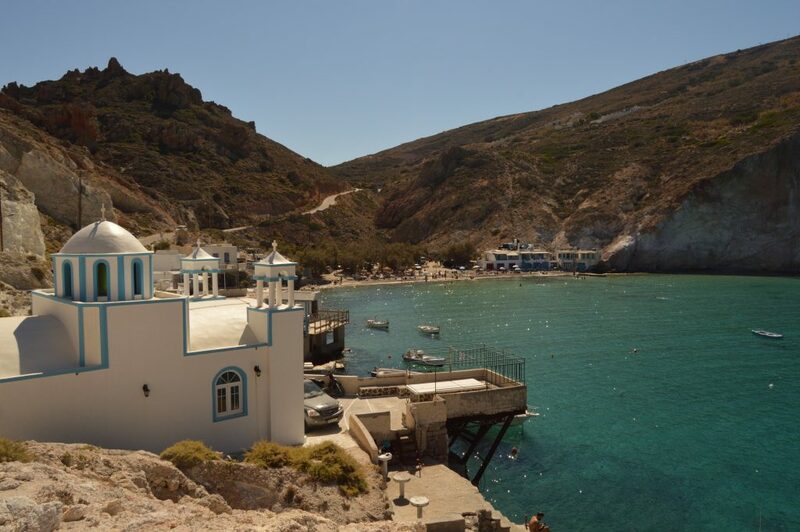 Plaka is the chief town of the island, It is perched on the top of a large rock, overlooking the Gulf of Milos. To visit the city you must leave the car or motorbike in one of the parking that is at the foot of the city. Walking through Plaka will let you taste the real Greece with its small white streets full of flowers and small restaurants. I recommend you visit it during the day, the view at the top of the mountain is spectacular. 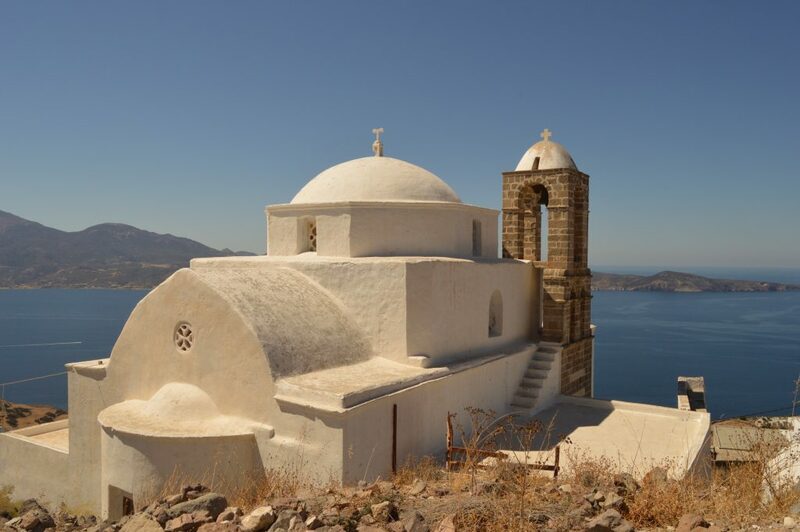 In 15min you can get to the Panagia Thalassitra church. 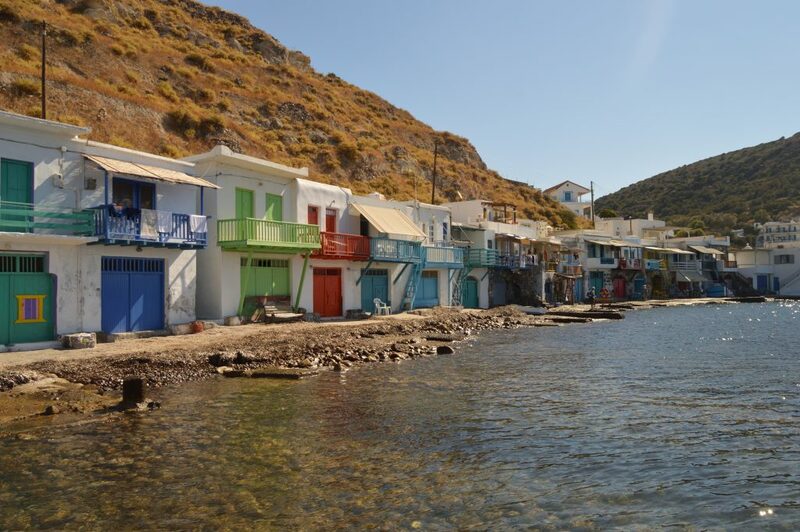 Apollonia is a picturesque fish village of 300 inhabitants, built around a pretty creek on the northeast edge of the island. The second harbor of the island and a good option to spend the night surrounded by restaurants and bars. Is located 14km from Plaka and 10km from Athamantas (the first harbor of the island). Sea-taxis and ferry-boats transfer you from Pollonia to Kimolo within 30 minutes at the most, from there also tour boats set out for the Cave of Papafragas and for Glaronisia. Klima is a traditional fishing village with very few inhabitants and multicolored two-storeyed houses in the natural concavities of the rocks. Unfortunately, there is no beach to stay here but is a good option to take a break. Furthermore, in the wider are of Klima, you can visit the ruins of the old city and the island’s first port. Today, you can visit the two acropolises of the settlement for example parts of the ancient theatre as well as the spot where the statue of Aphrodite of Milo (now in Paris) was discovered. Milos is so small that there is no better place than the other where to stop and sleep. I chose an area near the port (15min walk) and convenient to park. For this stay, I chose an Airbnb on € 40 a night, very nice, with a daily cleaning service. Are you a fan of Booking.com? So here 15€ discount for you. Just do the reservation through my invitation link or use the widget on your right side to book hotels. 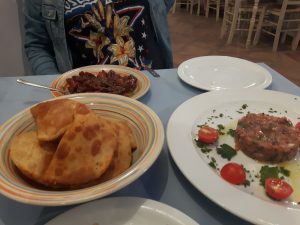 Like a good Italian, eating is more than necessary, you know what I mean… so I can recommend various places that I think can make you appreciate even more of this island. 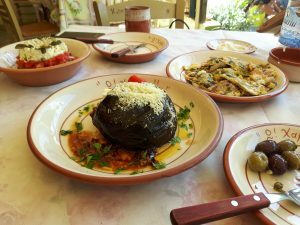 I love Greek cuisine, in Milos you can find fresh fish a good price. 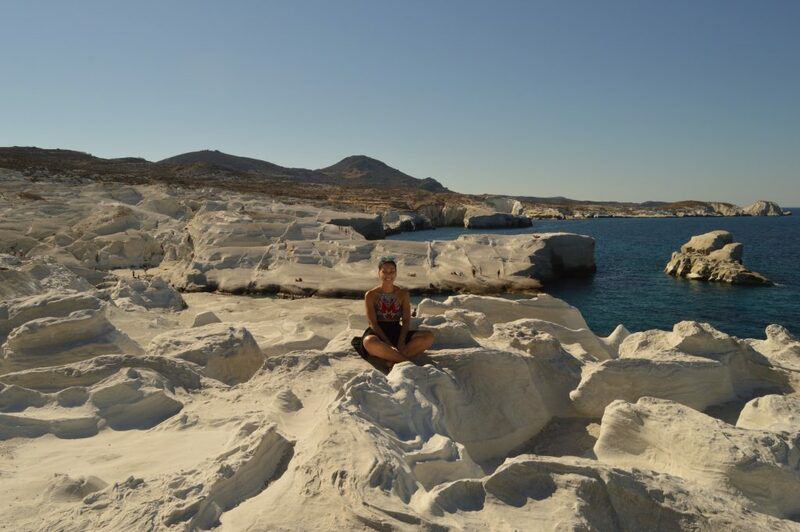 For any suggestion or doubt please ask me, guys… Don’t miss the 10 best beaches in Milos. 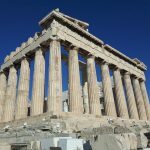 More greeks sites: Athens, Mykonos.